Rice, sugar, malt extract, salt, vitamin c (sodium ascorbate), iron (ferric orthophosphate), vitamin a (palmitate), niacinamide, preservative (tocopherols), zinc (zinc oxide), vitamin b1 (thiamine mononitrate), vitamin b6 (pyridoxine hydrochloride), vitamin d (cholecalciferol), vitamin b2 (riboflavin), folic acid, vitamin b12 (cyanocobalamin). Bht added to packaging to help preserve freshness. 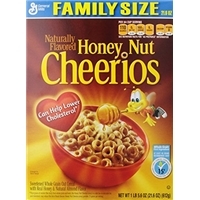 Whole grain wheat, corn bran, wheat bran, inulin, sugar, whole grain oats, crisp oats (rice flour, whole grain oats, sugar, malt extract, salt, bht [preservative]), brown sugar, corn, syrup, toasted oats (whole grain oats, sugar, high fructose corn syrup, soybean oil, honey, brown sugar molasses), salt, wheat bits (whole grain wheat, corn starch, corn flour, sugar, salt, trisodium phosphate, baking soda, color added), barley malt extract, honey, modified corn starch, malt syrup, tripotassium phosphate, color added, cinnamon, natural and artificial flavor, sucralose, walnut meal, almond meal, nonfat milk, vitamin e (mixed tocopherols) and bht added to preserve freshness. 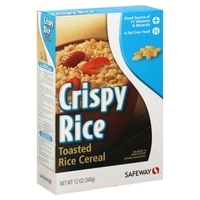 Whole grain wheat, sugar, contains 2% or less of brown rice syrup, gelatin, bht for freshness. Vitamins and minerals: reduced iron, niacinamide, vitamin b6 (pyridoxine hydrochloride), vitamin b2 (riboflavin), vitamin b1 (thiamin hydrochloride), zinc oxide, folic acid, vitamin b12. 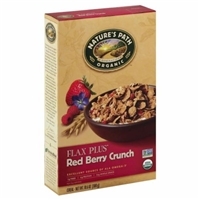 NATURE'S PATH ORGANIC™ FLAX PLUS® RED BERRY CRUNCH. 3 GENERATIONS. EXCELLENT SOURCE OF ALA OMEGA-3†. 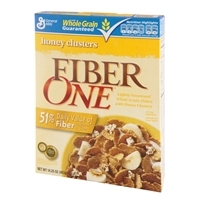 5G FIBER - 6G PROTEIN - 22G WHOLE GRAIN. PER 55G SERVING. USDA ORGANIC. 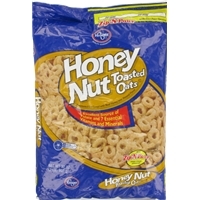 Brand/Manufacturer: Nature's Path Organic Nature's Path Foods, Inc. 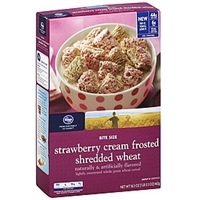 Ingredients: whole wheat meal*, rolled oats*, wheat bran*, evaporated cane juice*, flax*, soy oil*, freeze-dried berry blend* (freeze-dried strawberries*, freeze-dried raspberries*), brown rice flour*, oat bran*, barley malt extract*, sea salt, natural strawberry flavor, oat syrup solids*, tocopherols (natural vitamin e), molasses*, cinnamon*. *organic. 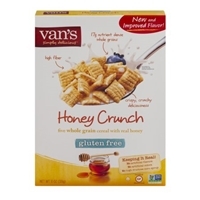 VAN'S SIMPLY DELICIOUS HONEY CRUNCH FIVE WHOLE GRAIN CEREAL WITH REAL HONEY.17G NUTRIENT DENSE WHOLE GRAINS.CRISPY, CRUNCHY DELICIOUSNESS.KEEPING IT REAL!NO ARTIFICIAL FLAVORS.NO ARTIFICIAL COLORS.NO HIGH FRUCTOSE CORN SYRUP. (That we are proud of!) 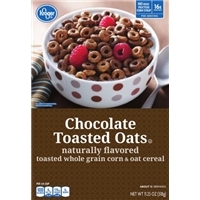 Van's Gluten Free Whole Grain Blend (Oat, Brown Rice, Millet, Quinoa, Amaranth Flours), Cane Sugar, Oat Fiber, Inulin, Invert Cane Sugar, Salt, Honey, Calcium Carbonate, Natural Flavors, Mixed Tocopherols for freshness. 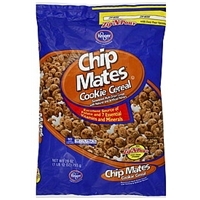 Corn flour, sugar, whole oat flour, rice flour, canola oil, wheat starch, alkalized cocoa, brown sugar (sugar, molasses), wheat flour, salt, crystalline fructose, natural and artificial chocolate flavor, soybean oil, dicalcium phosphate, sodium bicarbonate, vanillin, trisodium phosphate, cocoa powder. Vitamins and minerals: calcium carbonate, sodium ascorbate, zinc oxide, reduced iron, niacinamide, thiamin mononitrate, pyridoxine hydrochloride, riboflavin, vitamin a palmitate, folic acid, cyanocobalamin, cholecalciferol. Bht added to packaging material to help preserve freshness.contains: wheat. 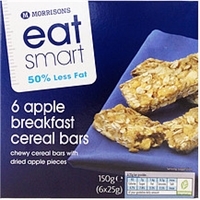 Whole grain wheat, sugar, natural and artificial flavor, sorbitol, gelatin, red 40, blue 1, reduced iron, niacinamide, zinc oxide, pyridoxine hydrochloride, folic acid, riboflavin, thiamin hydrochloride, cyanocobalamin, bht (to preserve freshness).contains: wheat. May contain: soy. 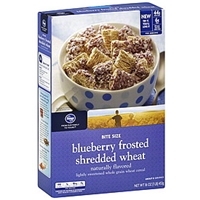 Whole grain wheat, sugar, natural blueberry flavor, freeze dried granulated blueberries, sorbitol, purple carrot extract (color), gelatin, reduced iron, niacinamide, zinc oxide, pyridoxine hydrochloride, folic acid, riboflavin, thiamin hydrochloride, cyanocobalamin, bht (to preserve freshness).contains: wheat. May contain: soy. 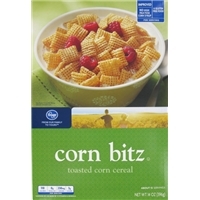 Whole grain corn flour, sugar, corn syrup, cocoa processed with alkali, whole grain oat flour, canola oil, salt, corn bran, malt extract, color added, dicalcium phosphate, trisodium phosphate, vanillin, natural flavor, vitamin e (mixed tocopherols) added to preserve freshness. Vitamins and minerals: calcium carbonate, sodium ascorbate, zinc oxide and reduced iron, niacinamide, vitamin a palmitate, pyridoxine hydrochloride, riboflavin, thiamin mononitrate, folic acid, cholecalciferol, cyanocobalamin. Corn meal, sugar, salt, barley malt extract, baking soda. Vitamins and minerals: calcium carbonate, reduced iron, zinc oxide, sodium ascorbate, niacinamide, pyridoxine hydrochloride, riboflavin, thiamin mononitrate, folic acid, vitamin a palmitate, vitamin b12 and vitamin d, bht added to packaging material to help preserve freshness. 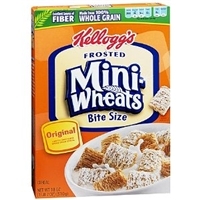 Whole grain oat flour (includes the oat bran), sugar, wheat starch, honey, brown sugar, oat bran, salt, calcium carbonate, dicalcium phosphate, trisodium phosphate, natural almond flavor, sodium ascorbate, niacinamide, reduced iron, zinc oxide, bht (preservative), thiamin mononitrate, pyridoxine hydrochloride, riboflavin, vitamin a palmitate, folic acid, vitamin d, and vitamin b12.contains: wheat. 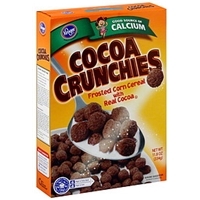 Sugar, corn meal, cocoa powder, corn syrup, wheat starch, partially hydrogenated vegetable oil (contains one or more of the following oils: soybean, canola, cottonseed), cocoa processed with alkali, salt, calcium carbonate, fructose, dicalcium phosphate, artificial flavor, trisodium phosphate, sodium ascorbate, niacin, reduced iron, zinc oxide, pyridoxine hydrochloride, riboflavin, thiamin mononitrate, folic acid and vitamin b12, bht added to packaging material to help preserve freshness.contains wheat.